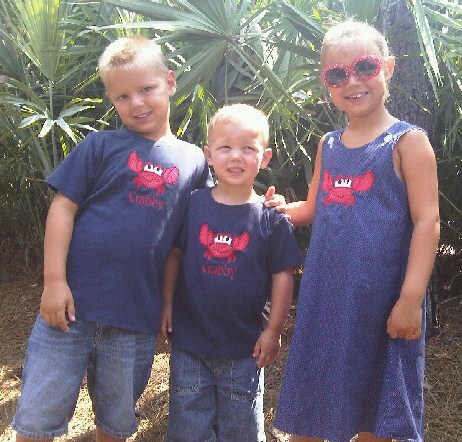 So cute for your boy and girl to match!� This shirt is navy blue and has a crab applique on the front.� Under it --it says Crabby or I can put your child's name.�� The dress is an aline dress. It is navy with tiny white polka dots.� The dress matches the shirt! !